Our countryside could be a very different place if we were all prepared to shift our priorities a little, Rewilding Britain suggests. “Imagine our natural habitats growing instead of shrinking,” the new charity asks users of its website. “Where space for nature is expanding beyond small pockets of reserves. Imagine species diversifying and thriving, instead of declining. That’s rewilding. “We could be surrounded by the thrum of insects, colourful butterflies and moths, wildflowers and fungi. Inspired by journalist and environmental campaigner George Monbiot, Rewilding Britain launched last week to pursue the ‘mass restoration of ecosystems in Britain, on land and at sea’. The UK’s ecosystems are ‘broken’, the charity claims, with places where wildlife should thrive ‘reduced to wet deserts’ resulting in a ‘catastrophic decline in many wonderful British species over the past century’. The ensuing debate has sent alarm bells ringing within the farming industry, particularly in Scotland, the focus of much the rewilding drive. NFU Scotland vice President Andrew McCornick said farmers were ‘justifiably concerned at what the introduction of predators could mean for their livestock, particularly the many thousands of sheep kept on Scotland’s hills and uplands’. As Environment Minister Aileen McLeod considers a key decision beaver populations, he said farmers on some of Scotland’s most productive land on Tayside were ‘seeing their efforts literally undermined by beaver damage to long-established drainage systems and waterways’. Farmers and crofters in some of Scotland’s more remote areas losing lambs on a regular basis to sea eagles, he added. He urged the Scottish Government and Scottish Natural Heritage (SNH) to show leadership on the issue. A Scottish government spokesperson said there were ‘no plans to reintroduce other species, especially top predators such as lynx or wolves’, beyond the imminent decision over beavers. Andrew Bachell, SNH’s director of policy and advice, agreed ‘many of Scotland’s wild areas are heavily grazed and eroded and a re-wilding approach in these places could offer significant biodiversity gains’. But he stressed ‘rewilding isn’t just about releasing large animals’. "Re-wilding is also about regenerating natural woodland or allowing areas of coast that flood naturally to flood again, and creating wildlife corridors. The new organisation, Rewilding Britain, points out that only 12 percent of the UK is forested; there are already targets in Scotland to increase woodland," he said. While there are ‘no plans to reintroduce any more animals to Scotland at this time’, any third party – such as the Lynx UK Trust– that wanted to pursue a reintroduction, would have to go through the various steps required, he said. 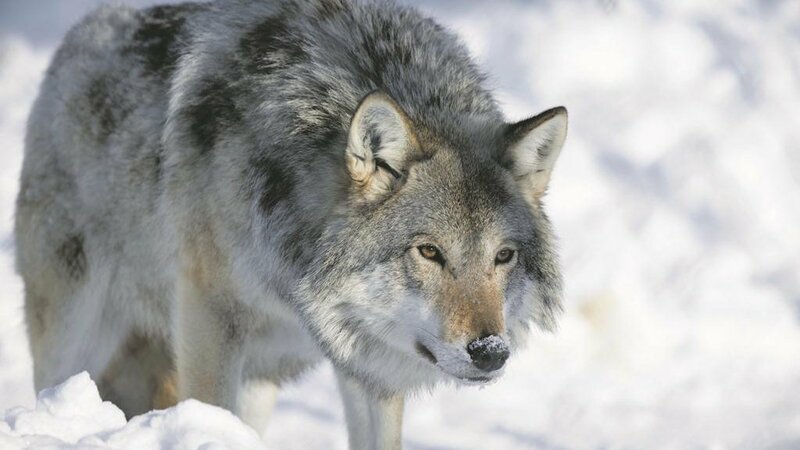 For farmers, the rewilding debate goes beyond the question of wolves and lynx roaming the countryside – it is about their own role in it. After all, its lead advocate, Mr Monbiot, is one of farming biggest critics, frequently blaming society’s ills, from flooding to declining biodiversity, on the ‘sheep-wrecked’ uplands. He told Farmers Guardian rewilding was a ‘long-term process’ that would only be achieved with the consent of local communities. He said the aim was to have three core areas of 100,000ha or so rewilded by 2030 and about 1 million ha by the end of the century. Scotland, with its large estates used for hunting, deer stalking and grouse shooting, is ‘already further down the road’ and is the main, but the charity would also like to see rewilding take place on the ‘infertile lands of England and Wales, Mr Monbiot said. “So what we are looking at is a relatively small proportion of the infertile area of Britain being allowed to go its own way, allowing trees to come back and some native wildlife to return, he said. But that does not mask the fact that ultimately he sees rewilding as an alternative to hill farming, which he believes is living on borrowed time. “We need a conversation with farmers about what their options are going to be. “There would be no hill farming whatsoever in this country were it not for public money, and the more people see public money is causing social and environmental harm in terms of damage to wildlife, watersheds, soil carbon stores, the less politically sustainable those subsidies will be. He dismissed the importance of food production in the hills, claiming upland farmers made a ‘really tiny contribution’ to producing food in the UK. "Food production is remarkably low in the hills. In Wales, for example, while 76 per cent of land is used for livestock production it imports seven times as much meat as it exports," he said. Yet sheep farming results in ’extremely poor’ vegetation on the hills, with their ’bowling green contours’, which prevents wildlife flourishing as it needs cover. Claiming research showed the public preferred a natural, wild landscape to the artificial one farmers produced, he said sheep farming ’from my perspective also damages the view’. National Sheep Association chief executive Phil Stocker said reintroducing the likes of lynx and wolves not only posed a threat to sheep but could have a ‘knock-on effect on our environment and ecology, if farmers were discouraged from keeping sheep and having grass’. “It has not been thought through properly and furthermore we need a proper debate on this in terms of animal welfare," he said. "The UK has got the highest standards in terms of animal welfare – we are concerned about the damage dogs to sheep and we ban hunting with dogs - yet we seem to be content to release high level predators into the environment. It doesn’t make any sense." Mr Stocker also refuted Mr Monbiot’s claim sheep production ‘wrecks’ the environment. 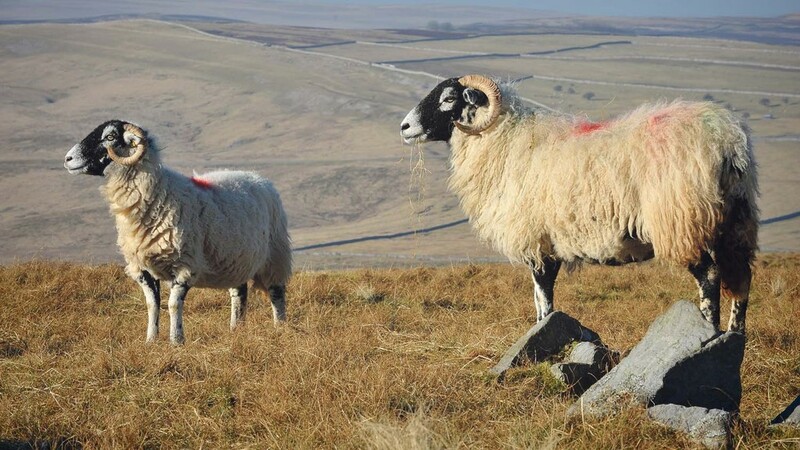 He acknowledged there was a short period in the late 1980 and, early 1990s when farmers were being encouraged via the CAP to keep more sheep, which caused ‘some environmental damage’. “But that is way behind us now. We have since seen a decline in sheep numbers and are now seeing habitats damaged by inadequate grazing. He said taking stock away results in vegetation like scrub and bracken taking over, which ‘decreases biodiversity’. He accused of overlooking the genetics of upland sheep production that benefited the whole sheep industry, as well as the ‘substantial volumes of meat’ produced in the hills. The volume of tourists visiting areas like the Lake District, Yorkshire Dales and Welsh Upland showed how the landscape was appreciated, he added. “We don’t a wilderness landscape. We want an attractive biodiverse landscape that involves human beings. Writing an opinion piece in the Guardian, Mr Monbiot’s newspaper, Lake District sheep farmer Annie Meanwell struck back on behalf of the farming sector. "Generations of families have worked this land, and have, like me, watched closely the interaction of our Cumbrian breeds of animals and our environment. "The animals have developed to be strong and sturdy, and to thrive upon the poor grasses which we have here. The grasses and the rich variety of flora in our hay meadows will ensure the health of our animals. "The animals and the environment are mutually dependant upon each other. The animals have evolved to suit the environment, and the farmers working away silently like myself have created the Lake District as we know it today that thousands of visitors love. 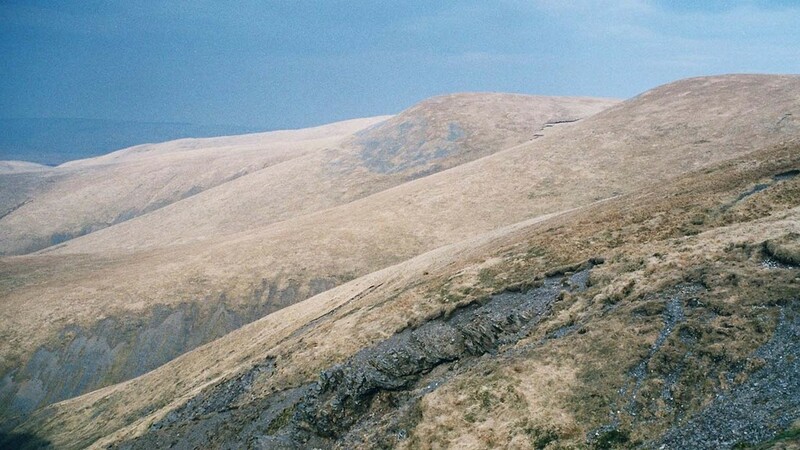 These generations of hard work and involvement with the landscape are now having to be defended against some environmentalists, such as George Monbiot, who has described “the Lake District as sheepwrecked”. In my opinion the land is not wrecked by sheep – generations of sheep and farmers have created the environment here together. It is not in our interest to wreck our land with excess sheep, my farm averages around two sheep per acre, and I am preserving it as best I can for the next generation. "There are some areas near our farm that have “rewilded” themselves where people did not have the heart to restock their sheep after the foot and mouth outbreak. "These are now wildernesses of bracken and brambles, and I have never seen a single “eco tourist” up there among the impenetrable vegetation. "The Lake District has not been “wrecked” by sheep and farmers, it has been created by them, through generations of hard work and often for very little reward."